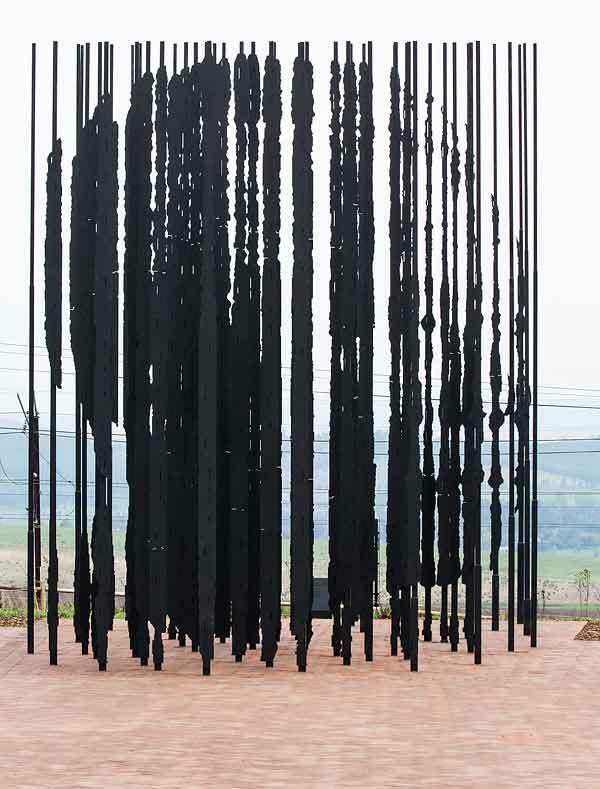 The photo above is my interpretation of the remarkable sculpture of Nelson Mandela that was recently unveiled near the town of Howick in KwaZulu-Natal, South Africa. (I know this has nothing to do with wildlife, but it is about photography - sort of - so have included it as a photography article). I wanted to make the sculpture appear as graphic as possible by eliminating all background clutter. 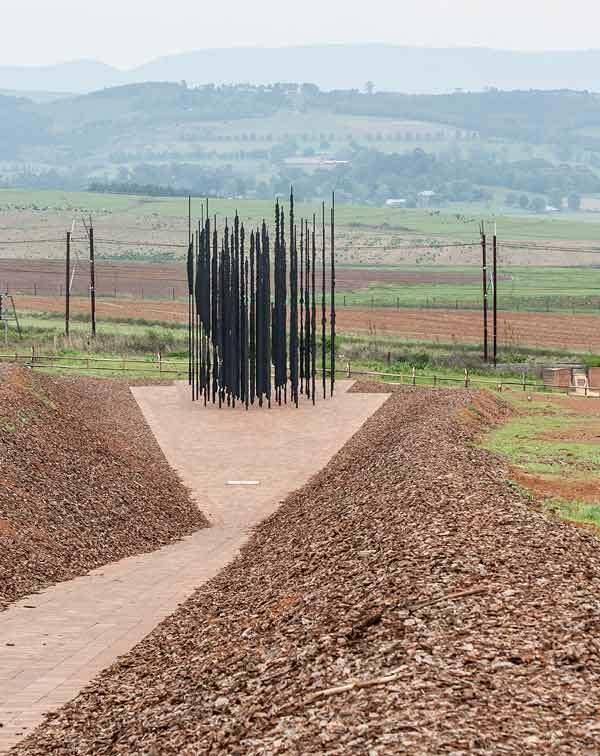 The sculpture is positioned close to the spot on the road where Mandela was captured. The road is out of site, but running alongside it are intrusive pylons, power cables, and telephone lines. Behind that is rolling farmland with hills in the distance. To get rid of the background, I over-exposed quite drastically then brought back the blacks and punched up the contrast in my photo editing program (Lightroom). The remainder of the photographs below are exposed normally and intended to show what visitors see as they approach the sculpture. 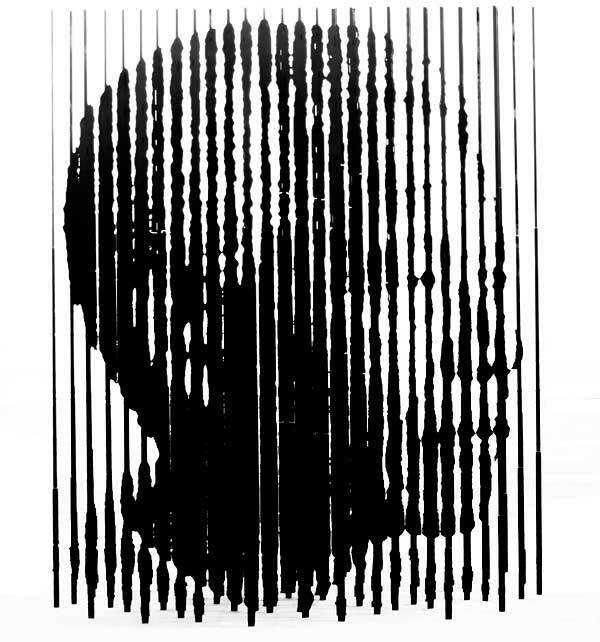 What's remarkable about this artwork, created from a cluster of 50 laser-cut steel columns, each between 6.5 and 9.5 metres tall, is the way it resolves into a portrait of Mandela only when viewed from a very specific distance and angle. 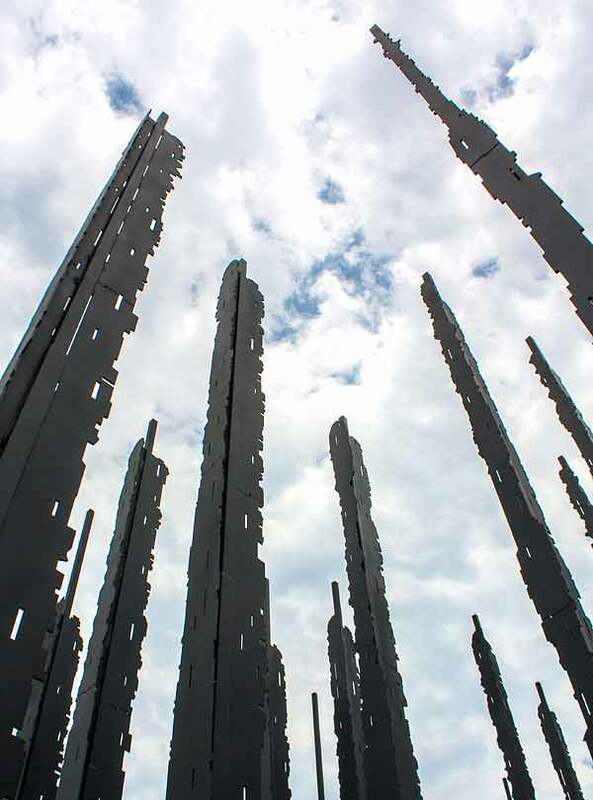 As one approaches the site down a paved path, representing Mandela's "Long Walk to Freedom", the forest of columns gradually begins lining up to create the illusion of a flat image. 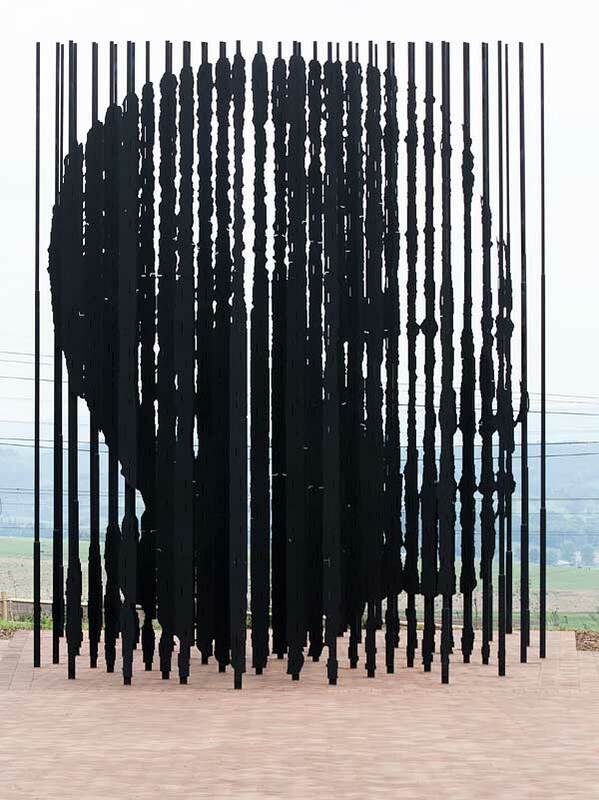 At a distance of 35 metres, this magically comes into focus as an instantly recognisable profile of the great man. 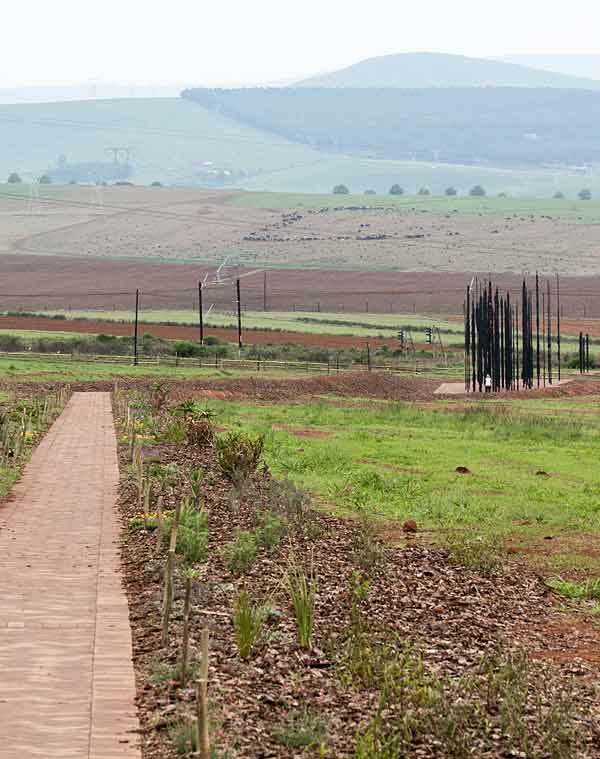 The Nelson Mandela Capture Site marks the spot, on the R103 road near the town of Howick in South Africa's KwaZulu-Natal province, where Nelson Mandela was captured by apartheid security police on 5 August 1962. At the time, dressed as a chauffeur, he was returning from an undercover visit to ANC president Chief Albert Luthuli's home on the KZN coast. After his capture, Mandela was to spend the next 27 years in prison. Subsequent to his release in 1990, he became President of South Africa following the country's first democratic elections in 1994. 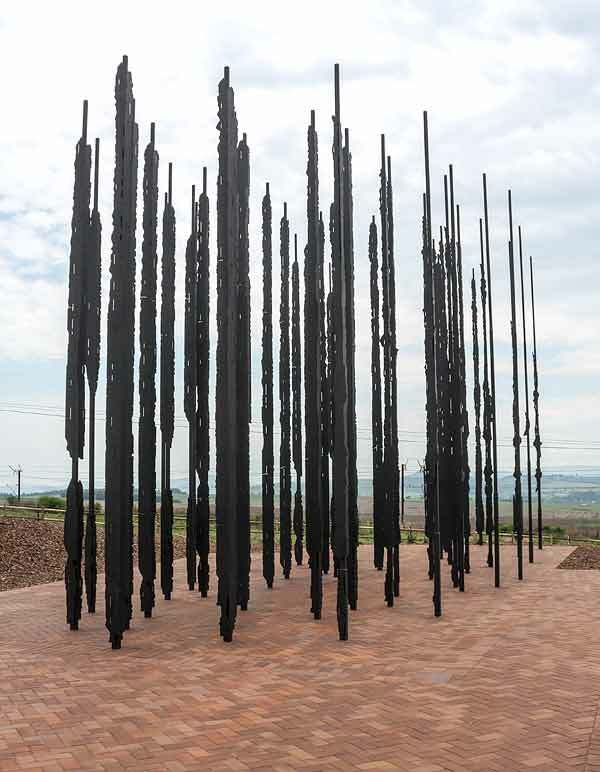 The focal point of the Capture Site, commemorating the 50-year anniversary of Nelson Mandela's "Long Walk to Freedom", is this extraordinary sculpture by artist Marco Cianfanelli, the largest artwork of its kind in South Africa. 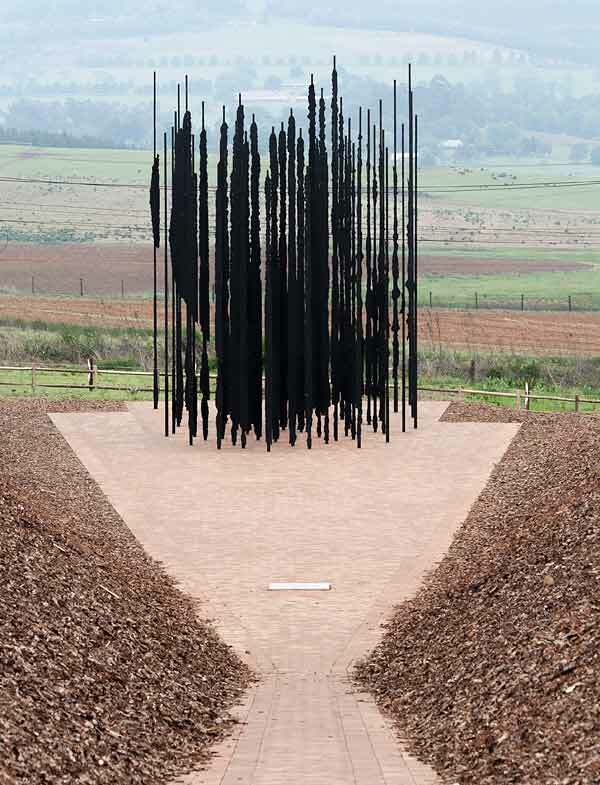 For additional information about the Mandela sculpture, including technical details, please visit the artist's website, Marco Cianfanelli.